Chinese New Year falls on January 28th 2017. Each year is assigned one of 12 Zodiac signs with an associated animal, and 2017 will be the year of the Rooster. The Chinese believe that each sign has associated characteristics, with people born under the Rooster sign believed to be very observant. Hardworking, resourceful, courageous, and talented, Roosters are very confident in themselves. The New Year celebrations typically take place at home, and the events are very family-oriented. Naturally this can cause the country’s transport networks to come to a standstill as everyone travels to see their relatives and loved ones. it is estimated that more than 200 million Chinese undertake long journeys to return home for the celebrations. The celebration is actually known as “Spring Festival” in China, even though it falls in the middle of the winter! This is because the ancient solar calendar, which depicts 24 periods through the year, classifies the start of Spring as the period from February 4th to 18th. 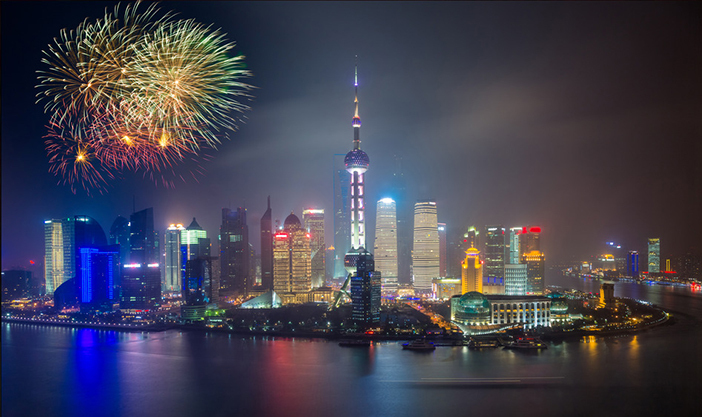 The Chinese expression for Happy New Year is “Xinnian Kuaile”, which is pronounced as “sshin–nyen kwhy–luh“. It is common for the Chinese to greet strangers as well as friends at this time, to pass on good luck and fortune for the year ahead. Traditional foods include fish, which is served at the end of the New Year’s meal and symbolizes abundance, and a sticky fruitcake called Neen Gow or Nian Gow.